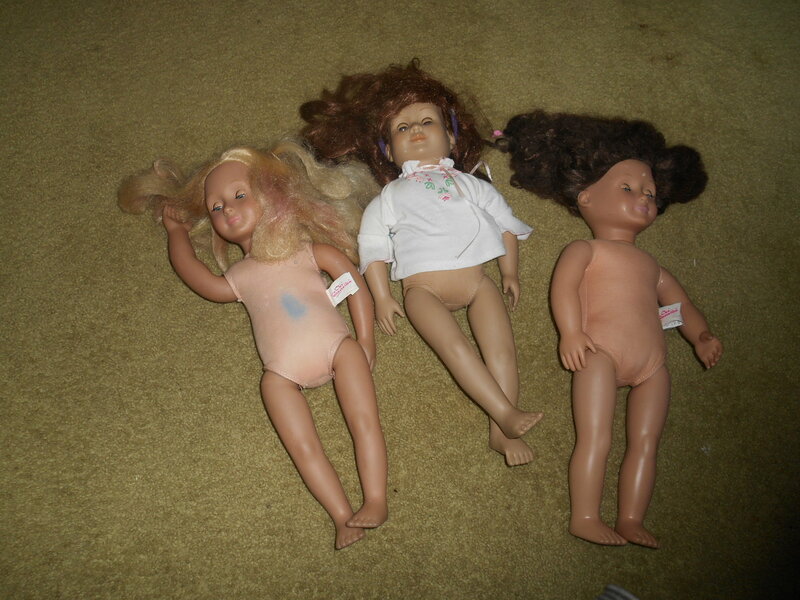 In may I found four beat up dolls at valley thrift. There was an Abby doll there but I decided that she was too beat up, and only took home three. Mom said that I could bring them home. I could only take all three if I sold two of them. I restored them and my friend wanted to buy one. She was the one I had paid the most for. (Even though she was in the worst condition.) I had paid four dollars but she would only pay five. We decided that she would pay just a bit (She only paid less than a dollar.) 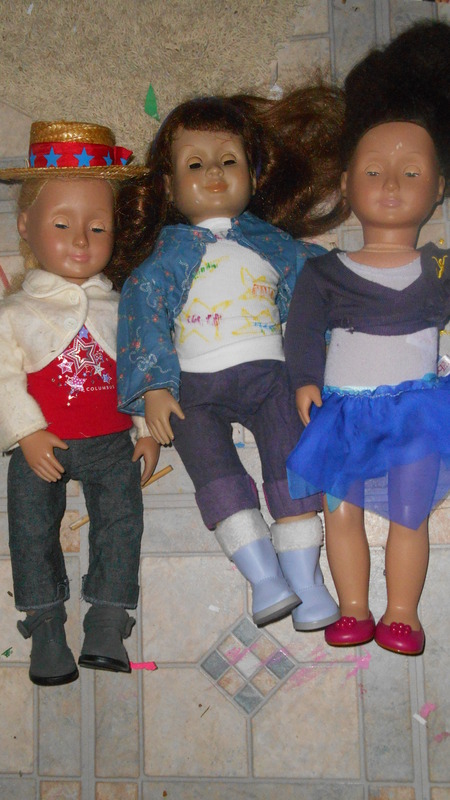 and take the two dolls I had to get rid of to her house. When I saw her again she would lend me the dolls. They are her dolls so she can take them whenever she wants. But she doesn’t play with dolls all that much so I would have them most of the time. The other one I could keep all the time. Here is how I restored them. Although I don’t have pictures of all the steps you can get the idea. This is the before picture. All of their hair was crazy. 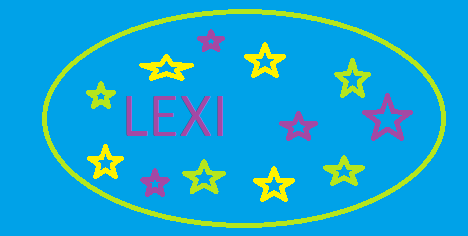 It was tangled and the blond one had color in her hair. It was pink, green, blue, and surprisingly, blond. She also had a stain on her. The next one had tan skin. She was the only one with any clothes. Her foot was also bent. The last one had awful. hair and scuff marks on her face. They all smelled bad. I removed their heads and took out the stuffing. I sprayed the one with the stain on her with stain remover and put their bodies in my washing machine. UnStuffing them I found out what the ‘wires’ were. 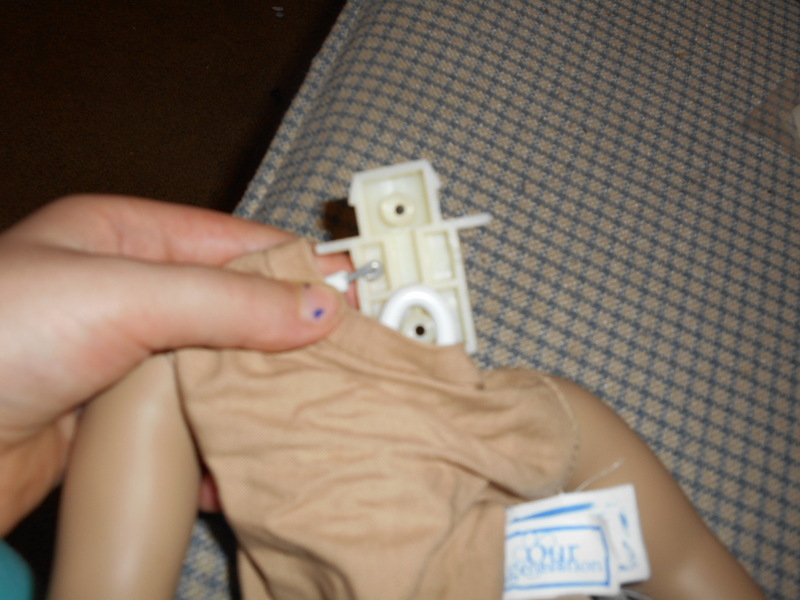 Some dolls have squishy limbs and wires inside them. Then you can move their arms and legs differently. Two of my dolls had squishy limbs. After I took their heads off I found that the arms and legs were connected to a block. All of the wires were put in the box to hold them. I had to take the box out to unstuff them. Here is a different view of the wires. 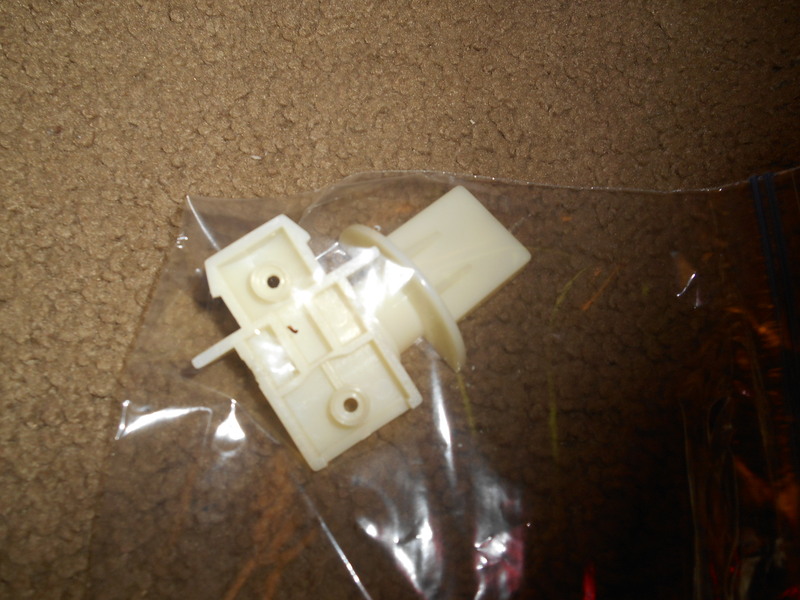 I put the box thingy in a bag so I wouldn’t lose anything. After the wash was done I hung the bodies upside down to get all the water out of the limbs. Then I stuffed them with new stuffing. 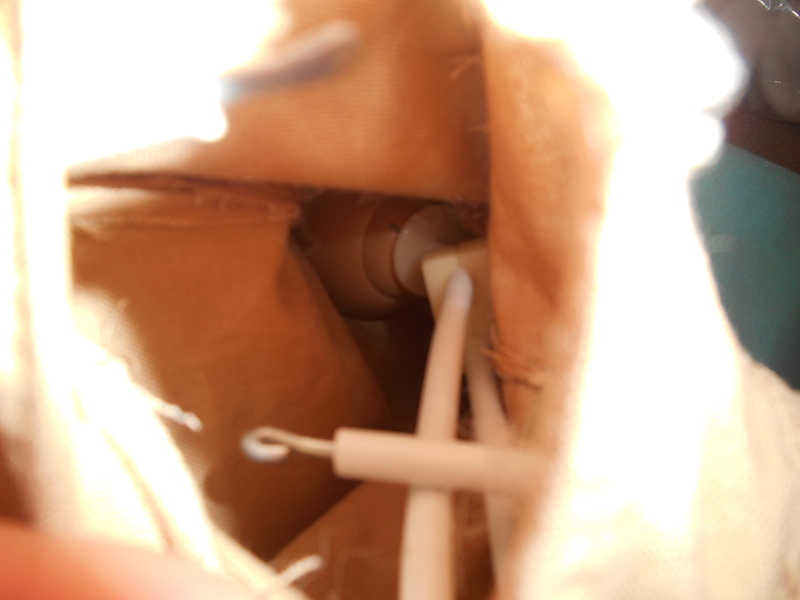 And here is a picture of how the wires fit into the box. 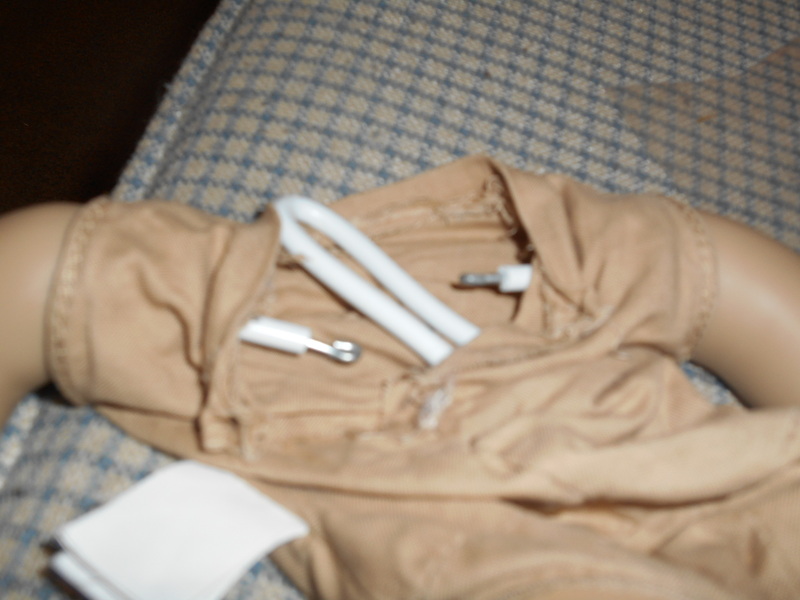 The other arm wire goes in it too, and then the top goes on. 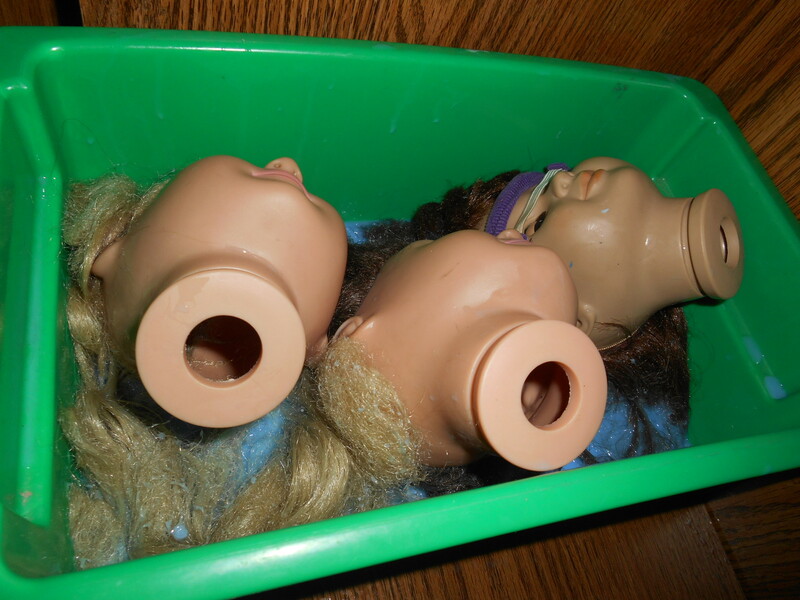 With the heads off I stuck them in a box with downy in it. If the hair soaked in the downy long enough it hopefully become easier to deal with. After 24 hours I rinsed the hair out and left it to dry. Here you can see the hair. Even after the downy it was hard to brush it. With the one on the right I ended up also washing, conditioning, hair spraying, and using water on it. When I finally got it brushed it was still bad. (It smelled worse.) The one on the left wasn’t bad and the one in the middle was actually still nice. When I got it brushed it wasn’t very frizzy and it was shiny. After it was brushed I set it in big curlers. I attached the heads with long wire ties. I snipped the ends and tightened. Here is the after picture. I dressed them in the closest I could to their meet outfits. I got the stains out of the one on the left’s body and hair. In the middle the tan skin is here to stay. I did unfold her foot though. I Attached it to a flat piece of wood and melted the skin with a hairdryer till it was good. When I took the wood off it was almost flat. The one on the right’s hair got a lot better but still not great. Soon I will share their story’s.